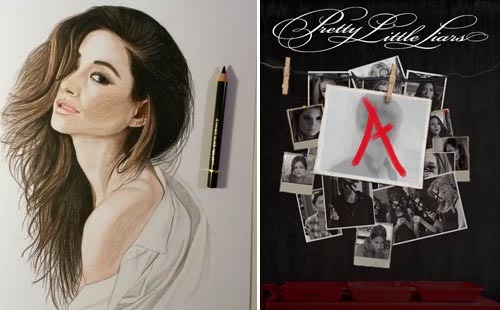 Pretty Little Liars has one of the most active and dedicated fan bases on television today – on air and online. Since the show first aired in 2010, passionate fans have created and shared fan art, memes and GIFs, tweeting and posting along with the show – even watching live most of the time. The show is a mainstay at the top of Twitter engagement charts and different iterations of hashtags devoted to finding out what the current villain’s identity is (no spoilers here, I promise). 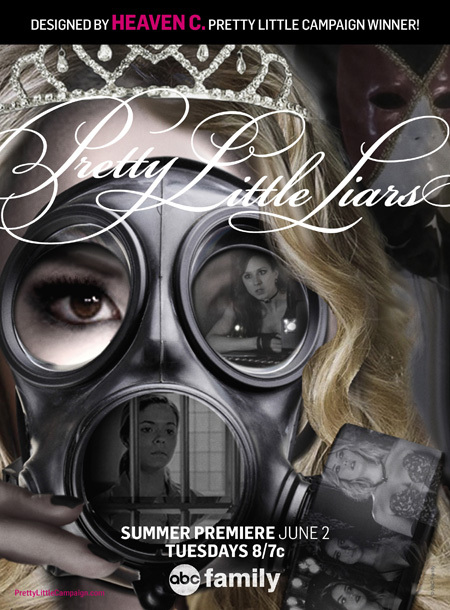 So it was a natural decision that when it came to marketing the upcoming season that debuts June 2, ABC Family would hand over some of the control to those fans – because who better to help plan a show’s campaign than the group already most involved in it? ABC Family kicked off the co-created campaign immediately, running a call to action during the season-five finale this March. It asked fans to stay involved with the show over the summer and stay tuned for new ways to provide feedback as the campaign rolled out over the next 10 weeks. The channel already uses pieces of this strategy across its marketing – several of its on-air promos feature fan-submitted photos, art or GIFs already. For season six, ABC Family simply elevated it to new heights. 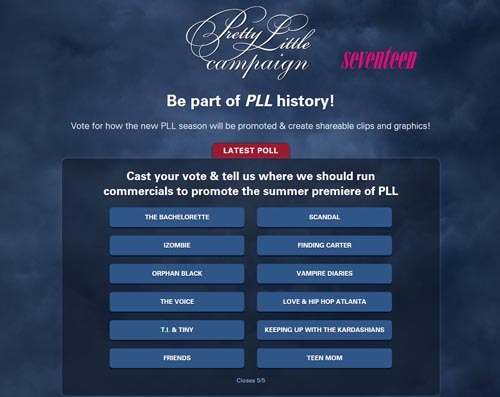 Pretty Little Liars’ season six campaign has asked for input every step of the way, starting with a constant stream of voting on PrettyLittleCampaign.com. Questions covered which magazines, websites and other TV shows the network should use in promoting the series. Again, who better to ask than the viewers themselves? The first submission part of the campaign was a call for fan art from viewers. This was an easy one, as diehard fans of the show have been creating their own version of season posters, key art and episodic scenes since the first season. ABC Family was simply amplifying their voice and giving them a place to respond to fellow fans’ art. On each part of the campaign, everything is shareable and gets feedback from other viewers and the network itself. The next step was asking for Ship GIFs. For the uninitiated, “shipping” is a social trend creating a relationship name out of two people fans want to get together. With Pretty Little Liars, popular ships were Ezria (Ezra and Aria), Haleb (Hanna and Caleb) and Spoby (Spencer and Toby). And the campaign doesn’t end at the season-six premiere on June 2. Because of such staggering involvement this time around, ABC Family is evolving the summer campaign into an ongoing, year-round engagement campaign. 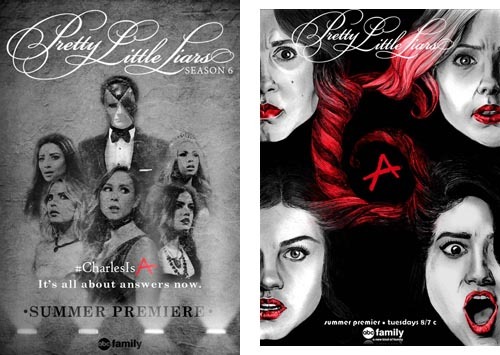 As the show presents new relationships, shockers and twists, ABC Family will be reaching out to and relying on fans to become a part of the show’s promotion strategy both on-air and off, by submitting their own versions of official promos, fan art, memes and seasonal posters. Without giving away anything from season six, Cox-Hagan says it will be most effective in this season than in any other. 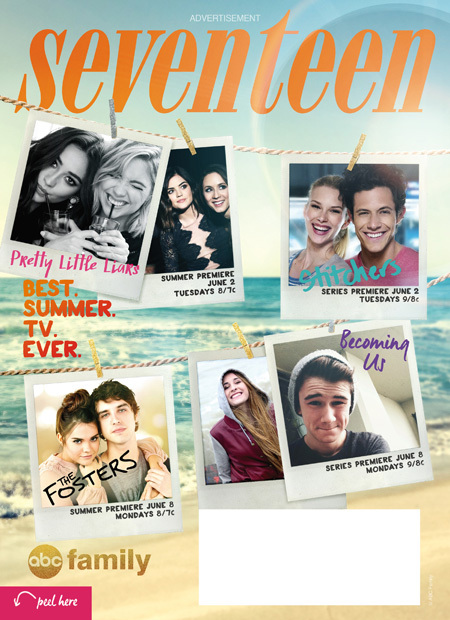 The campaign hit a high note with the June/July issue of Seventeen, which featured a fan-created piece of key art for Pretty Little Liars as well as a cover promoting ABC Family’s summer premieres. 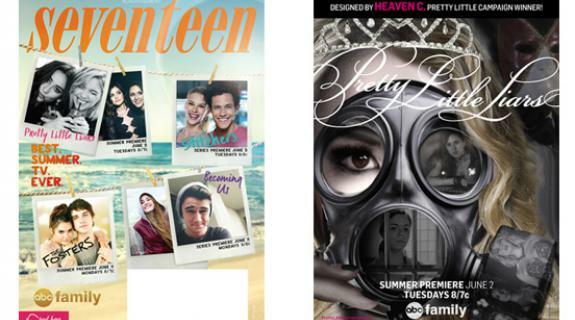 ABC Family chose a cover out of more than 3,1000 submissions came in through the summer campaign. The cover itself promotes upcoming series Stitchers and Becoming Us as well as the summer season debut of Pretty Little Liars. The inside cover is the co-created fan art submitted by Heaven C.
Interested in other ways to make sure your show stays on for fans even in the off-season? Check out the session double header “No Show Goes Dark” at this year’s PromaxBDA: The Conference, June 9-11 in Los Angeles.